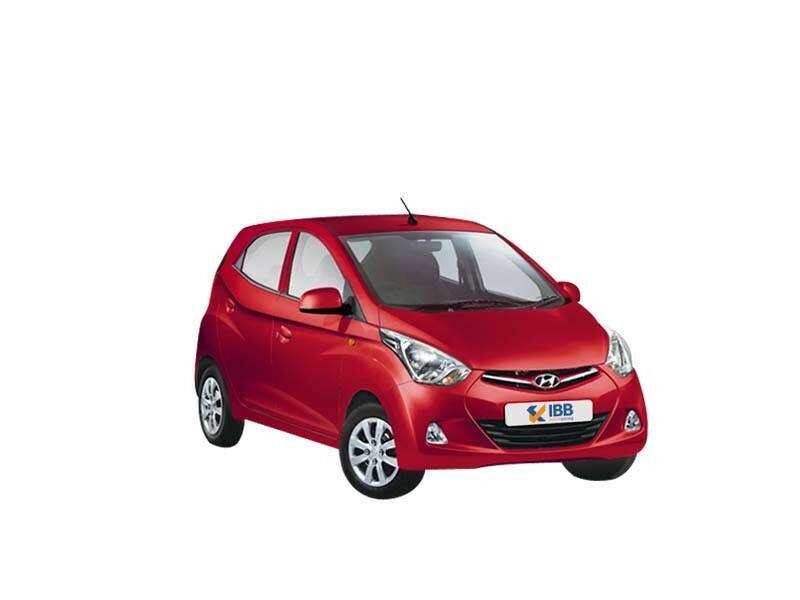 Launched in 2011, the Eon is one of the best-selling cars from the Hyundai stable. Aimed at the budget customers, this is undoubtedly one of the best-looking vehicles in its segment with amazing specifications. The flowing futuristic looks inspired by the fluidic design language lend a stylish appearance to the car. The long swept-back headlamps, neatly-designed fog lamp scoops on the bumper, greatly detailed grille, creased bonnet, and muscular body with design lines flowing right from the headlamps to the tail make the car flaunt a unique look. Compact and aggressive, the Eon sports body coloured bumpers and tubeless tyres. Steel rims are painted in black and covered with a 10 spoke Hyundai’s signature diamond cut type wheel cover. It is the arguably the best-looking entry-level hatchback that flaunts design lines with meticulous attention to details. The neat chrome strip adorning the Hyundai logo gives it a sporty look. The rear profile is characterized by large tail lamps, wide rear glass, and the rear bumper is quite meaty but a size bigger than necessary, also making the boot less accessible by that much. The exhaust pipe is neatly hidden underneath the rear bumper, allowing for a neat layout. The well thought-out interior not only boasts of ample legroom and headroom, but also flaunts premium quality material. The black and beige layout, spread out dashboard and a V-shaped centre console are its main highlights. The instrument cluster features a large circular pod that houses the speedometer and a MID at the bottom, displaying the odometer, trip meter, and shift indicator. There are two small circular pods on either side that display the fuel level and engine temperature gauges. The steering wheel gets a first-in-segment tilt adjustment. The centre console houses the middle AC vents and a 2 DIN audio system and air conditioning controls. Other utility based features in the cabin include, glove box, rear parcel tray, bottle holders, door pockets, cup holders, etc. 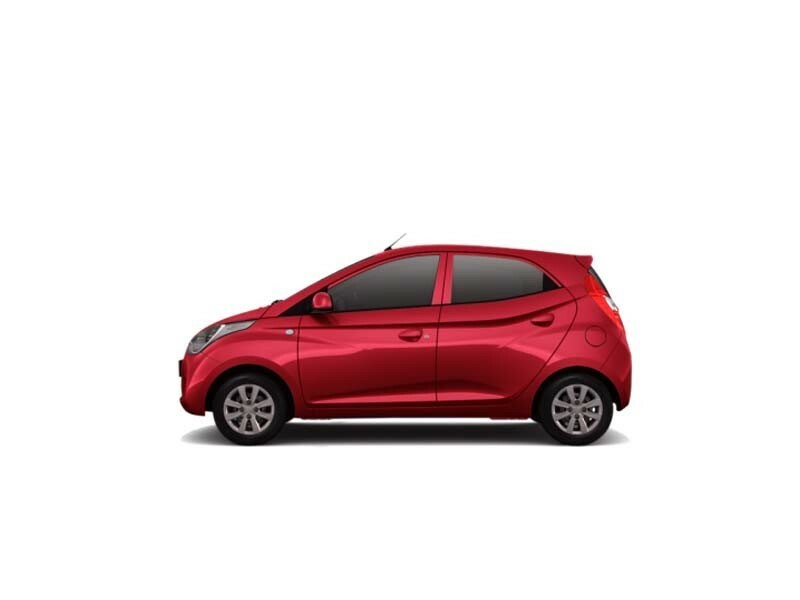 With a boot space of 215 litres, the Hyundai Eon offers ample space for the price it comes at. The car gets integrated music system with many advanced features, including radio, CD player, AUX-in, ipod connectivity, and USB. There are also ma pockets and floor console storage for additional space. The gear shift indicator and front power windows are other prime aspects. 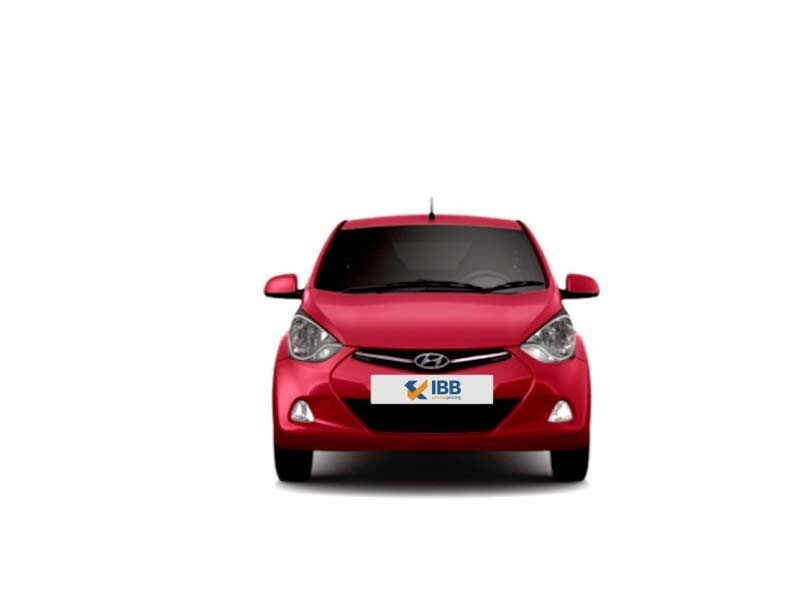 The Hyundai Eon is now available in two petrol engine options- 0.8L irdi engine and 1.0L Kappa engine. The former is powered by an 814cc, 3-cylinder petrol engine that puts out 55bhp of maximum power at 5500rpm and 76Nm of maximum torque at 4000rpm. It is best suited for city driving. The throttle response is low and power delivery is not bad. The engine responds nicely to short bursts to acceleration and can cruise in the highways around 120kmph minus any inconvenience. Hyundai also added the 1.0litre Kappa engine to the Eon range, powered by a 998cc, 3-cylinder petrol engine that makes 68bhp at 6200rpm and a peak torque of 94Nm at 3500rpm. Mated to a 5-speed manual gearbox, the Eon 1.0L is for those who feel that the 0.8L is a bit slow. The Eon returns a phenomenal 21.1kmpl, as per the ARAI. The safety equipments include, single side driver airbag, impact beams on the doors and floor, self-restraining seatbelts, child safety lock, remote control security system, etc. The top trim also features fog lamps and engine immobilizer, which are generally not seen in this segment. It comes with disc brakes in the front and drum brakes at the rear. The handling of Eon, owing to its small wheelbase, is remarkably good for its segment. the short turning radius enables the car to do quick moves in traffic or narrow roads. It promises a decent ride quality, thanks to the gas-tyre shock absorbers and McPherson struts. There is also good amount of body roll present due to soft suspensions, which are tuned to give maximum comfort to the occupants. Fantastic looks with impressive styling that has aged well. The interiors have a premium feel with good quality of materials and high levels of fit and finish. Steering does not weigh up well at highway speeds, failing to instill confidence in the driver. The noise and vibration levels are high. Wider tyre upgrade should be made. Hyundai Eon is certainly eons ahead of what the Alto offers and is almost head on with the Renault Kwid. It is not only great-looking, but also promises best-in-class build quality, good fuel economy, and several features. It does a neat job of going around the city traffic without any drama. Hyundai has been a master at manufacturing small cars in India, and the EON is surely a complete package. With class leading dimensions and features, it is a game changer, especially for first time car buyers.